Valentine’s Day can be a lucrative time to drive sales from a marketing campaign if your product or service is considered romantic or suitable for gifting during this romantic occasion. By following my 5 tips that I’m going to share with you now, you’ll be able to increase your sales. If your product is not suitable for gifting, don’t discard a Valentine’s marketing campaign. You can run a campaign to increase the number of your likes and followers on your social media. This would be with a campaign that is more about love and the message of love rather than a drive of product sales. If your products or services are not of a gifting nature, this is a great occasion to tell your customers how much you care about them. Loved up artwork. Create a romantic Valentine’s Day design that is clean, beautiful and romantic. Most designers will use pink and red. This works well as our eyes identify easily with these colours for this special occasion. Whatever you do, DO NOT lay your products into a heart shape. It’s very 1990’s and will date your brand. We have all seen that happen millions of times. In particular, fashion retailers do this. It used to work well, but is now very ‘overdone’. Use hearts, arrows, and a bit of gold, red and pink. I also recommend you use gifting imagery, perhaps a beautiful box and bow, couple imagery, romantic imagery if you stick to high class, aspirational romantic imagery you will be successful with the design. Make sure that your artwork is clean and on brand. It should specifically target Valentine’s Day with a special twist for your brand look and feel. Segment your data. Research reveals that men spend twice as much money on Valentine’s Day gifting than women. Men spend in average $158 while women spend $73. Segmenting your data into male and female is therefore very important. Create two separate campaigns and target them by gender in your email list and Facebook advertising (and everywhere else) because you need to change your messaging and price point of products to a lower price for women and a higher price for men. Content. If you have segmented your data you will be able to change your content within the email to match the targeted buying behaviour of the audience. Raise your price for male customers and keep lower price for female customers. For example, if you have a business offering romantic getaways, offer the more expensive package to the male audience and the less expensive package to the female audience. Change the imagery, products and pricing within your campaign images and content to fine tune your offering.For instance, if you have created a segment for men, you create artwork that is $100 and above. Take the price bracket from $100 to $500 or even $1000 depending on what the product is (I’m thinking of jewellery at this stage). For women, keep the price range at $50 and above. That way you are likely to draw more sales from both men and women. Look what have people purchased last year. If you have people purchasing gifts from you every single year, for instance you are a florist and you have people buying from you annually, you should pull out those customers first. Hit them with an email campaign a couple of weeks before anybody else does. A week before the normal marketing starts. Valentine’s marketing generally starts during 1st If people want to do any pre sales or pre drive for Valentine’s purchases, definitely start on 1st of February and offer a pre sale in a discounted price. If I was a florist and wanted to drive more sales, I would send the emails on 1st of February. I would offer a discounted price where it is going to be 20% cheaper if you book your Valentine’s Day order within the next 48 hours. This way as the florist, I can guarantee that I am going to get good amount of pre-ordered sales. So reach out to your loyal customers to get them first. Also test this with a discount and without one. You may find that a discount may not be necessary to drive those additional sales. You may be able to offer an additional upgrade product such as a bonus small box of chocolates, a little teddy bear or a premium gift card. Something extra you can add in rather than discounting. The aim is to look at last year’s customers and sell to them again this year. Charity donations. If you have a product or service that is suitable as a gifting product, you could consider running a campaign to encourage your audience to donate to charity. You could align your campaign to one of the global goals and select a gift of love that can be given freely at this time of year. Additionally, if you do have a product or service that is Valentine’s focused, you could offer a portion of the money to a charity to increase your sales. Valentine’s is a wonderful day to empathise with your customer and show them that you care. 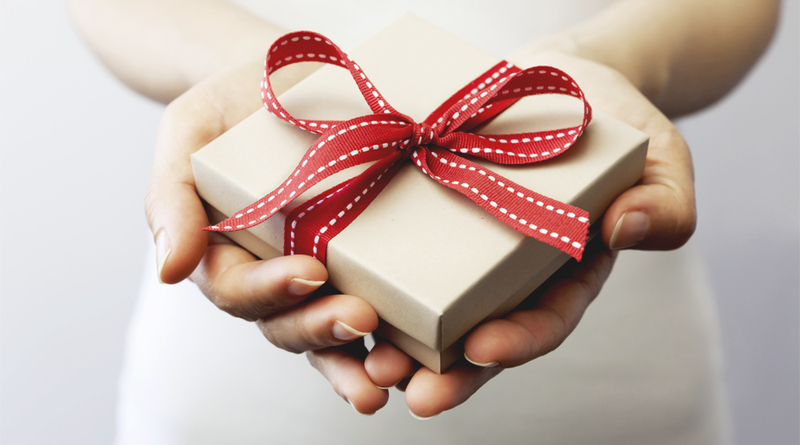 We can engage the subscribers, new customers and existing customers in this gifting season. Valentine’s Day comes and goes very quickly, the marketing for Valentine’s Day is very short and can drive optimal sales. The earlier you get into your customer base and make your customers preorder, the more likely will it be to increase the ROI. Continue to do better and better each year with your Valentine sales.